This restaurant in Bryce is a local and guest favorite with delicious home cooked meals including soup, pie, cowboy size steaks, mashed potatoes, and gravy. 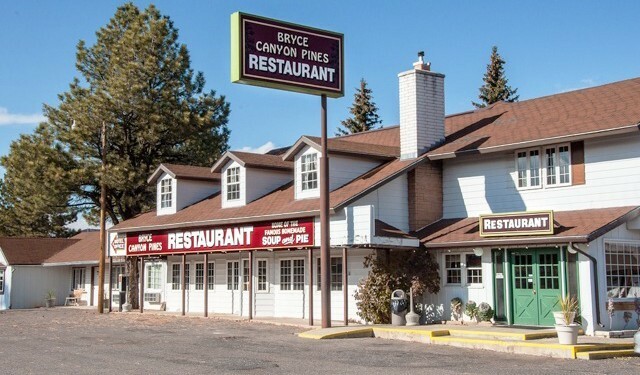 Bryce Canyon Pines has pride in providing hearty, homemade meals and the best food the west has to offer. For over 50 years they have specialized in satisfying traveler’s taste buds. What’s better than enjoying a delicious meal around a blazing Ponderosa fire? Check out this Awesome Restaurant!